I like dresses that use two different fabrics. Part of the best part of designing a doll dress or a quilt, for me, is finding colors and fabrics that work beautifully with each other. 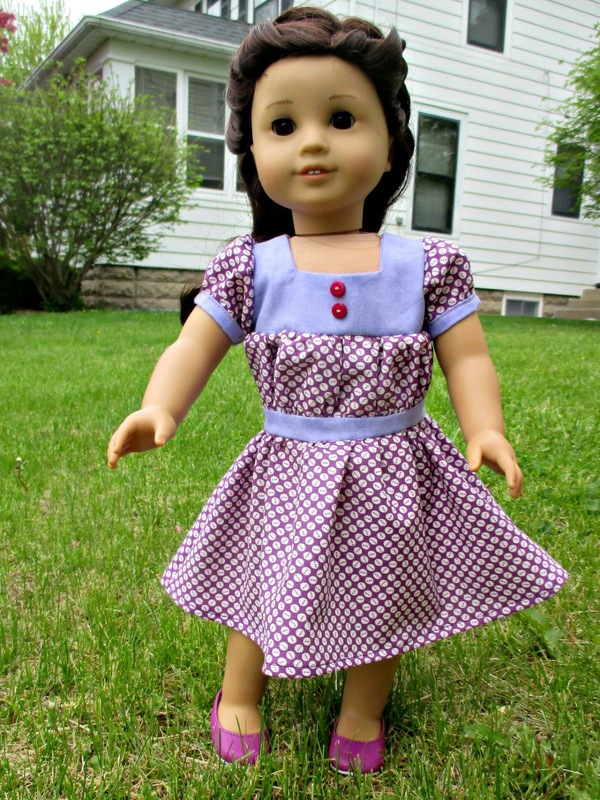 This time, I used Heritage Doll Fashion's 1930s Gathered Dress to make two different dresses. The pattern can be found on Pixie Faire. I felt that the pattern directions were straightforward and easy to follow. That is huge, coming from me! 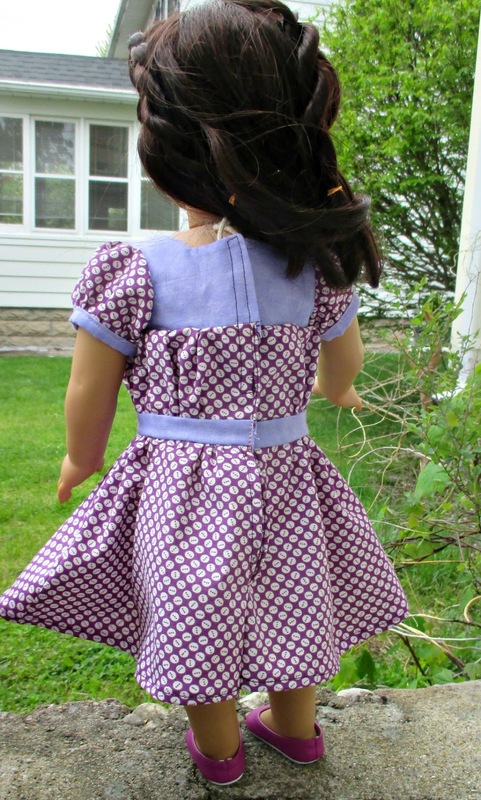 Despite the different pieces of fabric used, the dress looks very finished on the inside. I like these dresses, but I am not sure I like the gathered middle. 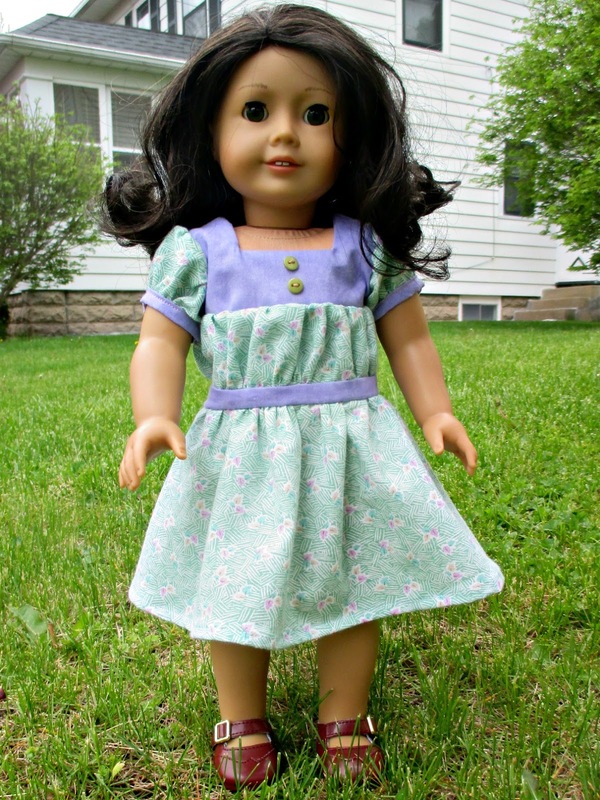 It looks a bit odd to me on the dolls, who do have a very straight body. And you wouldn't be able to iron the dress if you needed to. I might sew the dress again without the middle being gathered. This would be easy to do, as I can just cut a second piece of the bodice lining. The color possibilities are endless! 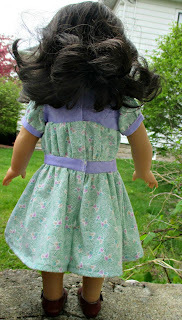 The dress looks cute from the back, as well. I used a velcro closure this time. I love it, Beth! Jess is so pretty! Cute! I like your choices of fabric combinations.